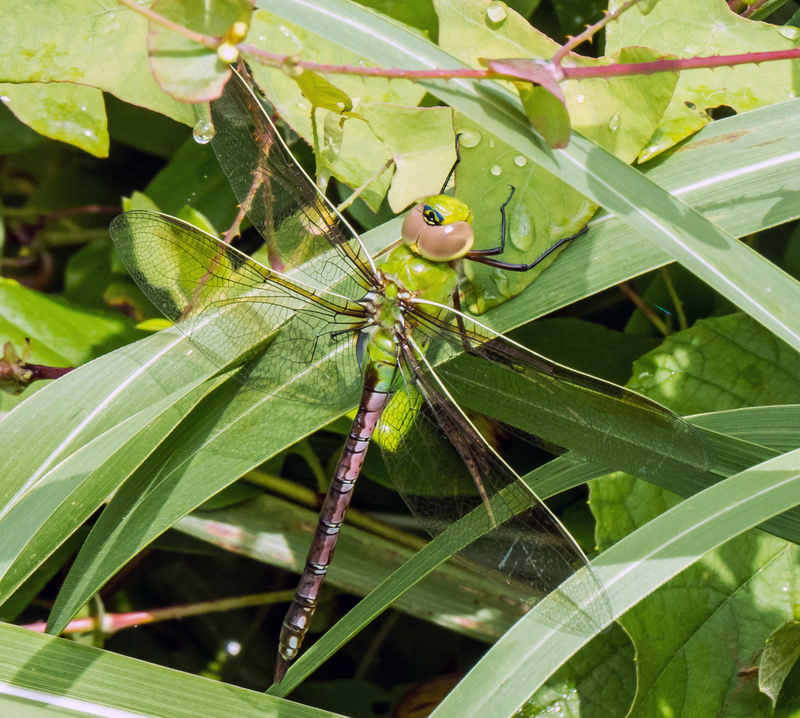 Normally when I see a Common Green Darner dragonfly (Anax junius) it is patrolling in the air and it is mostly a greenish blur. This past Friday, however, I was fortunate enough to spot one on the ground, nestled low in the vegetation at Occoquan Bay National Wildlife Refuge. At this closer distance I was able to marvel at all of the wonderful colors of this beautiful dragonfly. The colors are beautiful, Mike and I am always drawn to the intricacy of their wings. 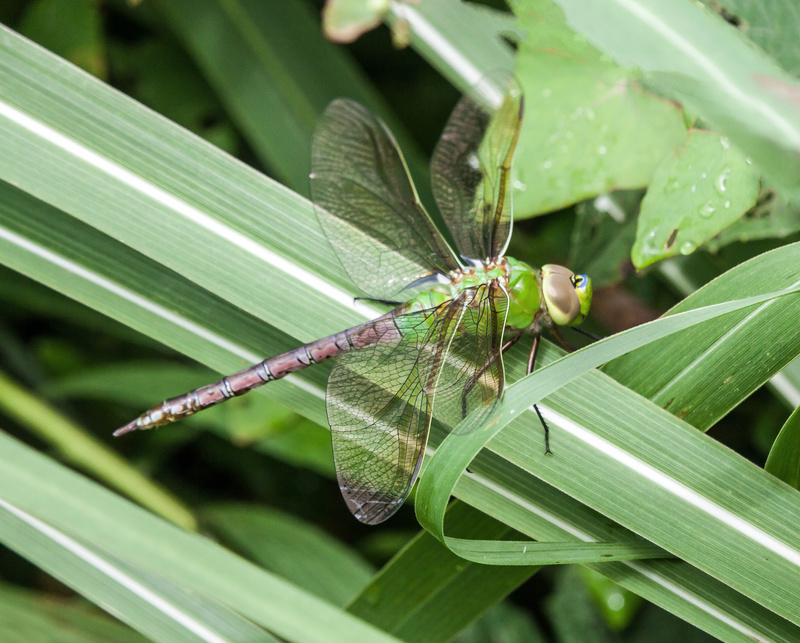 The wings are definitely cool, with all of the veins and such, seemingly fragile and yet strong and powerful, especially in a species like the Common Green Darner that is a migratory species. Very, nice, Mike. I like the crossing of the lines of the leaves with the insect’s body, especially in the first image. Benjamin loves this dragonfly! He studied both of the enlarged photos zoning in on the blue area. He said : “It almost looks like another eye, awesome!” Thank-you, Mr. Mike! !